This shoe has been dreamy to wear and so, so cute! 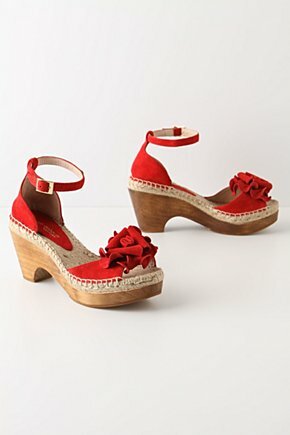 An espadrille and wedge in one! See here. A wedge espadrille sandal by Steve Madden. Soft straps and wedge bottom. This one may be too high for those with unstable ankles.